The floor is open for performers of all genres, skills and styles to put their hand up to be part of this year’s Cairns Festival. Cairns Regional Council is now inviting groups and individuals to apply for consideration to perform at the Esplanade Festival Hub. In its inaugural appearance in 2012, the Esplanade Festival Hub featured an extensive program of performance and community-based activities. 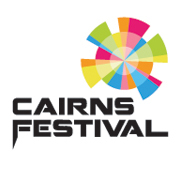 In 2013, the theme for Cairns Festival will be “A celebration of where we live” and all performers are encouraged to make their applications based on this theme. “Situated on the western events lawn of Cairns Esplanade, The Esplanade Festival Hub will boast a colourful cluster of Reef and Rainforest themed tents that will form beautiful performance spaces to operate throughout the festival,” Mayor Bob Manning said. “The Esplanade Festival Hub line-up will include an energetic mix of entertainment: individual performances, musical acts, comedians, singers, dancers, acrobats, artists and roving performers, as well as a vibrant children’s program. Anyone interested in proposing a self-produced event, Festival partnership, new collaboration, or creative element of any kind, can go to www.cairnsfestival.com.au to apply. The Esplanade Festival Hub will operate throughout the 2013 Cairns Festival, which runs from Saturday, August 24, to Sunday, September 1. Cairns Festival is presented by Cairns Regional Council with generous support from event partners and sponsors. For more information, visit the Cairns Festival website. Applications Close Friday 12 May 2013.